In 1991, as part of the celebrations for the 100th anniversary since the foundation of Ethniki Insurance and upon its request to the Ministry of Culture, the site was declared a ‘listed memorial’. The detention centres underwent restoration and conservation work in order to better show off the detainees’ graffiti and messages on the metal doors, walls and windows. Texts, names, dates, drawings etc. were preserved and the two basements were opened to the public. During conservation work, paper, metal and glass objects were found in the tanks, the sewerage watertight manholes and the metal door recesses. Small objects belonging to the detainees that had been neglected or hidden for almost half a century in invisible parts of the underground areas came to light, were cared for by experts and exhibited. For the completion of the conservation works, a group of scientists from the Ministry of Culture worked under Assistant Professor, Mr. N. Minos. 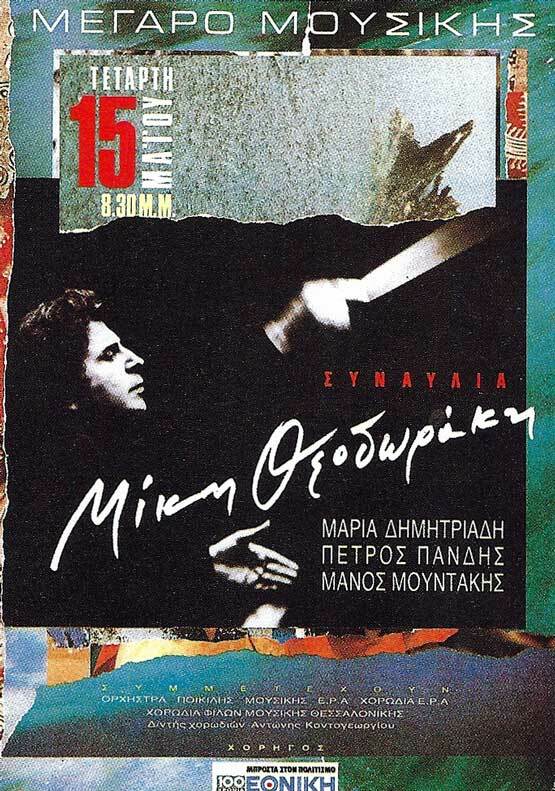 In the evening before the inauguration day, as part of the celebrations, the Spiritual March (poets by Angelos Sikelianos) composed by Mikis Theodorakis was performed for the first time in Athens Concert Hall, in a concert hosted by Ethniki Insurance. 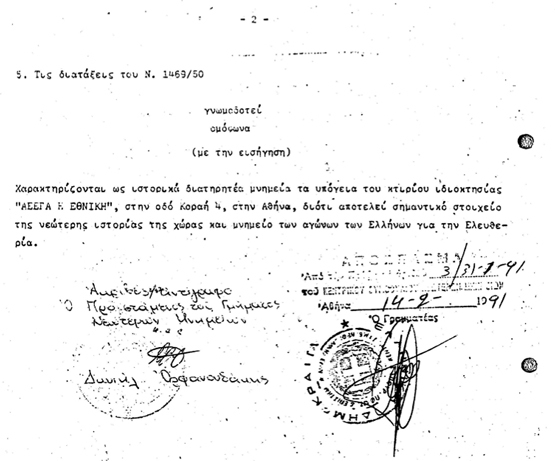 Said concert that also comprised the “Eighteen Short Songs of the Bitter Motherland” was the first concert given by Mikis Theodorakis in Athens Concert Hall. The singers were Maria Dimitriadi, Petros Pandis and Manos Mountakis. The concert hosted the Hellenic Broadcasting Corporation’s Pops Orchestra, the Hellenic Broadcasting Corporation’s Choir and Thessaloniki Friends of Music Choir under Antonis Kontogeorgiou. In the past years, the Memorial Site underwent conservation work several times due to its particular nature and microclimate conditions in the underground areas (increased moisture, etc.). In parallel, the site’s activities expanded to the organization of exhibitions, events, theatrical plays etc. You can download in .pdf format the Board Meeting FEK as well as the Declaration FEK.